Supporting GBS in the Big Apple! The chance to spend sometime in the Big Apple – who would pass that up? Definitely not me, since it was one city I have yet to see! Little did I know it would be the quickest but most rewarding and heart-tugging trip yet! 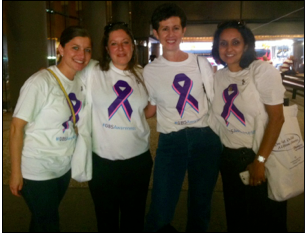 Meridian Bioscience Inc. was heading off to New York City to spread the awareness of GBS, better known as Group B Strep, on Times Square! For those of you who may not know what exactly GBS is, it is a condition that pregnant mothers may unknowingly pass on to their newborn child, which can result in fatality. Women get tested at 35-37 weeks gestation to see if they are Group B Strep positive, if they are positive, they will receive antibiotics in labor so they don’t pass on the bacteria to their baby. The problem is, traditional culture tests do not detect all of the positive women, increasing their chances to pass GBS on. Meridian Bioscience released a new Group B Strep test – illumigene® Group B Strep, which is more accurate compared to popular culture testing methods used in most doctors’ offices. July was GBS awareness month and to raise awareness, Meridian Bioscience had a 10 second GBS awareness video on Times Square’s CBS Screen! You can check out the video here: http://vimeo.com/69482302. 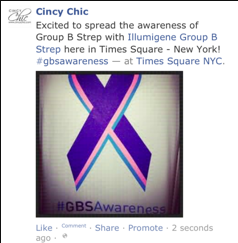 In combination with this video, Meridian Bioscience along with Group B Strep International hit the streets of Times Square to spread and increase awareness of GBS and the illumigene® Group B Strep test. I was fortunate enough to join these incredible people! During my time, I met some of the most amazing people…their stories on the other hand were heart breaking. I had the chance to talk to and hear from three women who all had personal experiences with GBS. Unfortunately and sadly all three lost a child to this condition. Two of which were years back and one of which was pretty recent. However, it didn’t matter how long ago or recent this heartbreak occurred, the loss of child seems to be the hardest and it reflected in their voices and tears. But it was the illumigene® Group B Strep and Meridian Bioscience team, that really awed me, none of which have had a personal connection to GBS. Their commitment and strong connection to this effort moved me. Maybe it was because of the stories upon stories they have heard and have come across throughout this journey as well as the release of the illumigene® Group B Strep test. Either way, they were on a mission in Times Square and that was simply to make others aware! 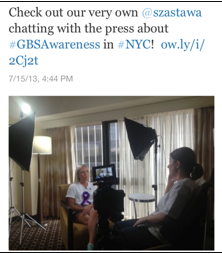 That day, keep in mind the heat index was 110 degrees, we started underneath the CBS Screen where the GBS awareness video would loop and then moved our way to Broadway, passing out thousands of GBS awareness pins and postcards. By the end of the day we chalked it off as a success! It was so heart-warming to see so many people come together to support something they felt so strongly for. I was asked by the Meridian Bioscience team to give a short interview on my thoughts about the day…and let’s just say there were a few moments when I just about started to cry. For me, I had no real background about GBS until we began to partner with Meridian Bioscience, and even then I did not put much thought into it. It was my trip to NYC and the experience I had, that really opened my eyes to the seriousness of Group B Strep. I, myself, am at the age where I soon hope to have children, and to think of carrying a child for 9 months and then soon after losing them to a condition out of my control is devastating. Knowledge really is power, asking my doctor and being sure I am tested for GBS with illumigene® is the most important thing I can do for myself and more importantly my child. GBS is participating as a sponsor in Cincy Chic’s upcoming “School’s Back, Mom Relax” event on August 23, where you can RSVP! 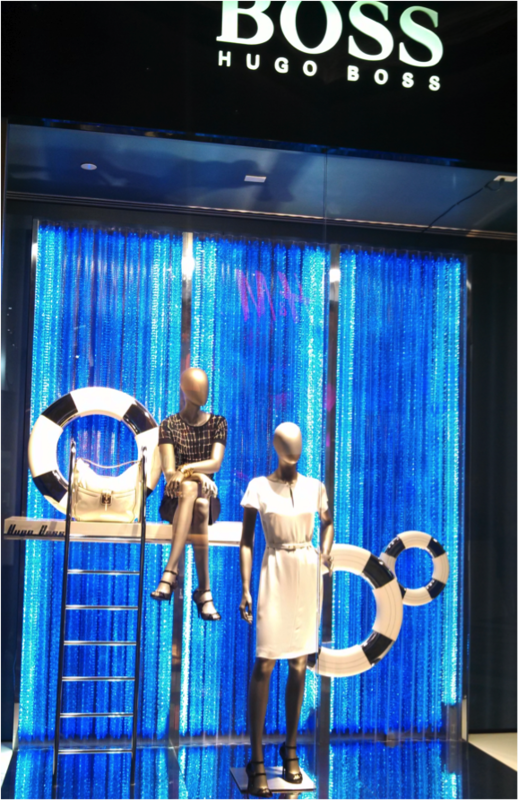 One of my interns, Gwendolyne Rodriguez, just went on a trip to Vegas and NYC. 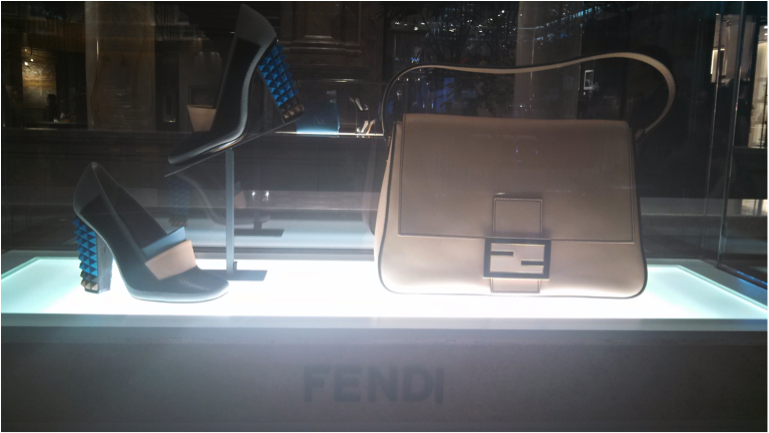 She did a lot of window shopping on her trips (clearly, I’m training her well! haha! 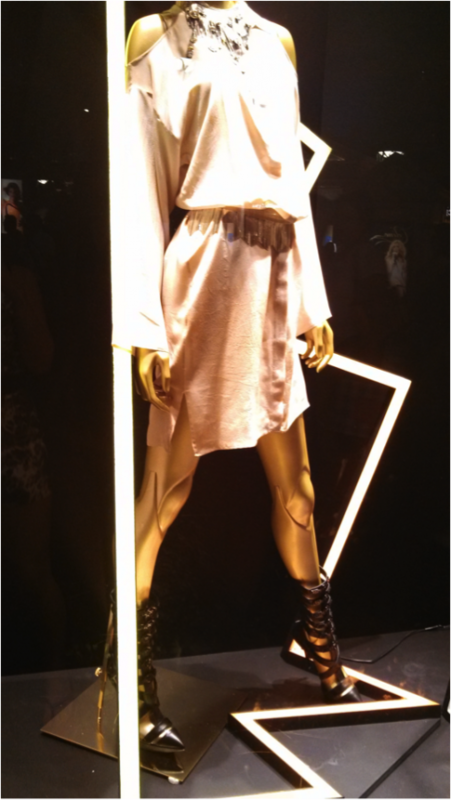 ), and spied these five fab trends, plus a new NYC shop you need to check out! Enjoy! The Forum Shops at Caesars Palace. Check out those colored studs on those thick heels! 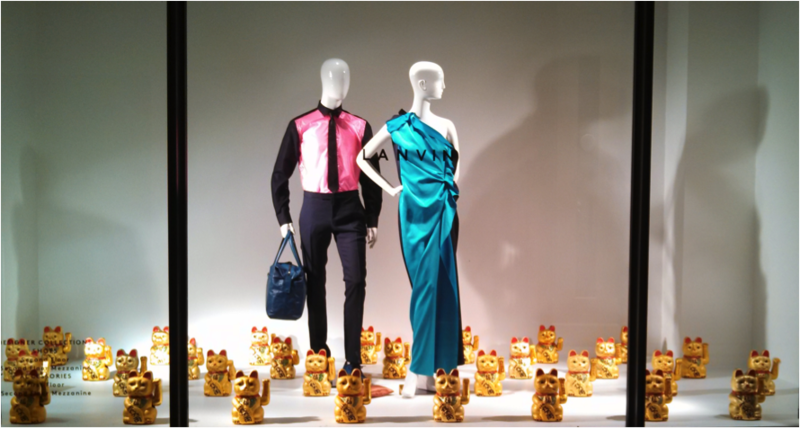 There’s also a shop in Soho called Necessary Clothing that Gwendolyne says is a must-see! She picked up these super cute studded flats there!